Cybersecurity CEO Robert Herjavec. PHOTO: Cybercrime Magazine. The first weeks of July have been a time of self-reflection for me. Our twins will be 12 weeks old, Croatia beat England to advance to our first World Cup Final and just as we closed celebrations for Canada Day and Independence Day, our company, Herjavec Group, turned 15 years old. But the combination of these milestones couldn’t be ignored. My family and I immigrated to Canada when I was a young boy. We left the former Yugoslavia because my father was a political prisoner who had been put in jail more times than I can remember. The last time they let him out, he knew he couldn’t risk being sent back, so he got my mom and I and we headed off to Italy. There we applied to come to North America and were welcomed by Canada. We took a boat across the Atlantic – the SS Cristoforo Colombo (even to this day the name makes me laugh. You don’t get more melodramatic than that) – and we arrived in Halifax. My mom had a friend in Toronto so we drove there and lived in her basement for the next two years. My early life in Canada wasn’t easy. My parents didn’t speak English. They struggled to make ends meet. My dad had been an entertainer back home and now he swept floors. It was painful – and I hated the resentment that I felt because I didn’t fit in. I think it’s that pain that catapulted me forward. I’ve always had a chip on my shoulder. I was driven to overcome our circumstances and ensure the sacrifices my parents made were worthwhile. In time, I came to love Canada. I love how it opens its doors to people who want to climb the ladder as far as their talents and perseverance will allow. I firmly believe that perseverance is the most important characteristic to succeed in business. You’re always going to hear “No” far more than you’ll hear “Yes.” The path to success is constant failure, spotted with some success. To achieve, you need to learn to be resilient. Canada taught me the power of an opportunity. The power of an education. Canada gave me my first job, my first business, and now Canada continues to help Herjavec Group thrive 15 years later. In 2003, I partnered with two colleagues to found Herjavec Group. We set out to sell cybersecurity products ( at the time it was firewalls and anti-virus solutions) to enterprise businesses across Canada. We were three people, sitting in a cubicle-size office, wondering if we were nuts to try this on our own. We did $400,000 in sales that first year (on a target of $5 million) and I honestly thought we wouldn’t make it. We partnered with emerging cyber-technology providers out of Silicon Valley and introduced new products to market. We hired some incredible people and introduced services that helped our customers improve their security. We began acquiring other companies – first across Canada and then into the United States and United Kingdom. We grew. We stumbled. Then we grew again. We learned along the way and, most important, we persevered. Over the past 15 years, we’ve seen a monumental shift toward what is now considered a cybercrime epidemic. Business leaders are challenged to address compliance requirements, incident response plans, nation-state threats, security awareness, malware detection … the list goes on. At Herjavec Group, we realize that in cybersecurity, change is constant — but we are driven by a steadfast goal: to make enterprises in Canada, and around the world, more secure. Today, we are 300 people strong, have four certified Security Operations Centres, and are recognized as the No. 1 firm on the Cybersecurity 500 ranking of the world’s most innovative cyber players. Listing accomplishments isn’t very Canadian, but I’m unapologetically proud of our team. We built this – and it wasn’t easy. When Croatia scored the winning goal on Wednesday (and I came in from running in the streets… this is me!) I came into my office at home, sat back and thought – man, my dad would love this!! He would love to see his home team excelling on the world’s stage. Inching back — pushing through overtime — winning. Persevering. He would love to see my kids learning new things. Stumbling. Trying again. Persevering. And he would be amazed at how far we’ve taken the business. He saw us get started but he didn’t get to experience the scale of our growth. We’re still standing. In the right place, at the right time, with the right team. We are celebrating our 15th anniversary and I know he’d be so proud. Thinking through these milestones, I had to put my thoughts to paper. I just wanted to say thank you. Thank you for your business. Thank you for your trust. Thank you for the opportunity. 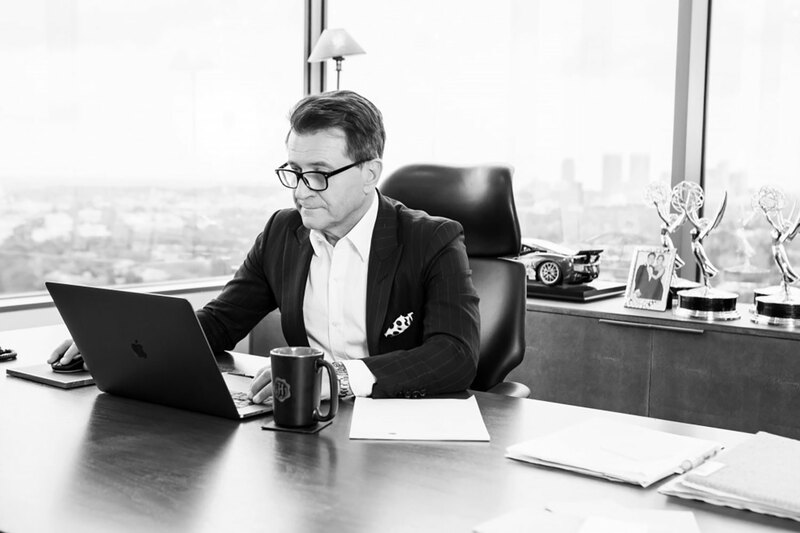 – Robert Herjavec, founder and CEO at Herjavec Group, and a Shark on ABC’s Shark Tank, provides insights to C-Suite Executives in his Official Blog at Cybercrime Magazine. Herjavec Group is a Managed Security Services Provider with offices and SOCs (Security Operations Centers) globally.